Here's a fresh, sparkling, naturally based citrus scent that you're going to love for summer. 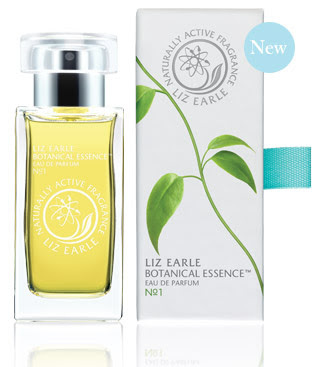 Liz Earle Botanical Essence No. 1. It's from British skincare brand, Liz Earle and is their first foray into fragrance. To bring Liz Earle's vision of a vibrant sparkling floral to life, their perfumer, Jean Charles Niel, used over 98% natural ingredients in the fragrance, like like Lavender, Rose and Italian Bergamot. This is a citrus lovers fragrance for sure - the opening notes are lemon, orange and mandarin - but after the initial citrus burst, I found it settled into a warm scent that was nicely balanced with just a touch of rose and lavender. The drydown was spicy, but "woke up" the citrus again with the addition of vetiver, so even after a long day without any time to reapply, I could still be reminded of the initial fresh citrus mix. The lasting power is very nice for a citrus-based scent, but afternoon reapplication is certainly the best way to keep the fragrance going, and I loved the refreshing pick me up it gave me, especially on really hot, humid evenings! *This product was provided courtesy of Tina Thomson Communications for reviewing purposes. **Image courtesy of Liz Earle.